“We selected Innovation Award finalists based on market-driven criteria and their ability to bring the next generation of progress to the energy storage market,” said Jeff Gates, Managing Director at Duke Energy and ESNA Advisory Board member. The projects were broken down into three energy storage categories that include: utility scale, customer sited, and mobility. 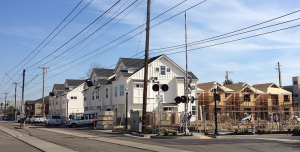 2500 R Midtown homeowners get a credit from Sacramento Municipal Utility District if the system generates excess electricity and sends power back to the electrical grid. 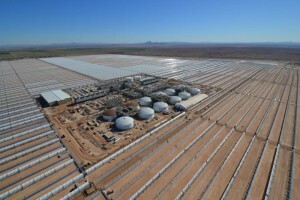 The world´s largest parabolic trough plant with a total installed capacity of 280MW, and also the first solar plant in the United States with thermal energy storage, which provides up to 6 hours of generating capacity. The developer, Abengoa Solar, began construction at the end of 2010 and Solana started operation in 2013. The plant generates enough power to supply 70,000 homes under a 30-year power supply contract with Arizona Public Service (APS). The project cost $2 billion and received $1.45 billion from the U.S. Federal Loan Guarantee Program. A $54 million Southern California Edison demonstration project aimed at determining to what degree lithium-ion batteries and smart inverter technologies can improve grid performance and assist in the integration of variable energy resources. The project received $25 million in federal stimulus funding. The Tehachapi Wind Energy Resource Area 6,300 square-foot battery energy storage system (BESS) facility contains batteries, transformers, power conversion systems, and communication and interface equipment. It consists of an 8 MW-4 hour (32 MWh) lithium-ion battery and a smart inverter system using A123 System’s batteries to store energy from the existing 5,000 wind turbines. The storage system was deployed in Q2 2013 and testing will run through Q2 2016. EaglePicher Technologies BESS will be delivered to the U.S. government where it will undergo testing and evaluation at the U.S. Department of Energy’s Energy System Integration Facility (ESIF), located on the campus of the National Renewable Energy Laboratory’s (NREL) in Golden, Colorado. The team will deliver a three-tiered, 300 kW/386 kWh PowerPyramid™ grid-tied energy storage system capable of providing grid stabilization, microgrid support and on-command power response. The project is part of a contract funded under the DoD’s Rapid Innovation Fund and awarded by the U.S. Corp of Engineers on behalf of the U.S. Northern Command, that calls for delivery of an innovative system employing multiple battery types and sophisticated control systems to address the frequency, duty cycle, and storage needs of the conventional and renewable power sources that make up many U.S. DoD microgrids. To date, Green Charge Networks has closed over 2 megawatts (MW) of zero-down distributed storage agreements with a variety of customers, including 7-Eleven, Walgreens and UPS, as well as school campuses and municipalities in California and New York. Similar to other companies offering intelligent customer-sited energy storage, such as Stem, Green Charge Network’s battery deploys stored energy during peak demand times, when the utility charges a premium for energy, and recharges the unit during off-demand periods. The software component offers predictive analytics using utility and weather data to manage peak power use and store energy accordingly. 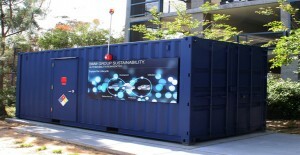 K Road DG, a private equity firm focused on distributed energy founded by former executives from K Road Power, has committed $56 million to Green Charge Networks to fund financing packages for companies to deploy Green Charge Networks’ energy management storage equipment and software. This follows a $10 million project finance investment from TIP Capital in March. 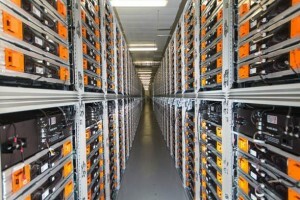 A team at University of California-San Diego’s Center for Energy Research has been working with BMW on a full-scale energy storage system based on the old EV batteries capable of handling 180 KW hours, which program director Bill Torre says could eventually mimic the utility of photovoltaics used on campus that are down to less than $1 per watt in cost. 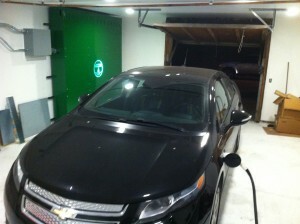 The system will be integrated with a photovoltaic solar system and possibly fast EV DC charging. In June, Growing Energy Labs Inc. (Geli) announced the commercial operation of the first grid-tied, solar-integrated EV fast charging station optimized by energy storage. Located at City Hall in the City of Benicia, the system was designed by San Francisco-based Geli and funded with a $79,200 California Energy Commission grant administered jointly by the Association of Bay Area Governments (ABAG) and EV Communities Alliance. 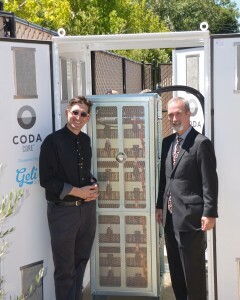 The installation also received support from California’s Self-Generation Incentive Program (SGIP). The project included several project partners including Growing Energy Labs, CODA Energy, and Energy Vault, and combined Geli’s intelligent Energy Operating System software with CODA Energy storage. Growing Energy Labs raised $750,000 in seed funding in July, 2013 from investors including Wilson Sonsini Goodrich & Rosati, Greenstart, and Invested Development. Powertree Services, founded in 2012, operates and installs integrated solar, energy storage, and EV charging systems. 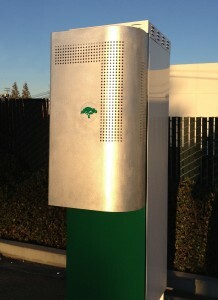 Its Powertree San Francisco One project comprises 68 distinct locations and aggregates to a total of 3.26MW of power and 3.5MM of energy along with 2.5MW of controllable EV charging using. The Pacific Gas and Electric project combines vehicle grid integration, EV charging and on site solar generation, using lithium iron phosphate batteries. SEPTA’s system utilizes Intensium Max20 Li-ion batteries produced by Saft Batteries and a power controller produced by ABB Envitech. 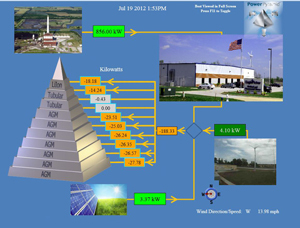 Viridity Energy implemented its VPower™ software optimization and market integration system. The project received a $900,000 grant from the Pennsylvania Energy Development Authority (PEDA). In 2012, Viridity raised $15 million in Series C venture funding from Mitsui & Co.